Victor Alfred Trumper Smith was born in Sydney on 9 May 1913. He was named after his uncle, Victor Albert Trumper, the great Australian cricketer. He entered the Royal Australian Naval College in 1927 as a Cadet Midshipman, and became a Midshipman in 1931, a Sub Lieutenant in 1934 and a Lieutenant in 1936. His first ship was the cruiser HMAS Canberra. After deciding to specialise in naval aviation, he won his wings as an observer in 1937. He flew from the aircraft carriers HMS Glorious and HMS Ark Royal, and at HMS Sparrowhawk, the Royal Navy Air Station at Hallston. While based at Sparrowhawk he was mentioned in dispatches for leading a daring air torpedo raid by six Swordfish biplanes against the German battleship Scharnhorst, off the Norwegian coast. Back on Ark Royal in 1941, Victor Smith was awarded the Distinguished Service Cross (DSC) for outstanding zeal, patience and cheerfulness, and for setting an example of whole-hearted devotion to duty. 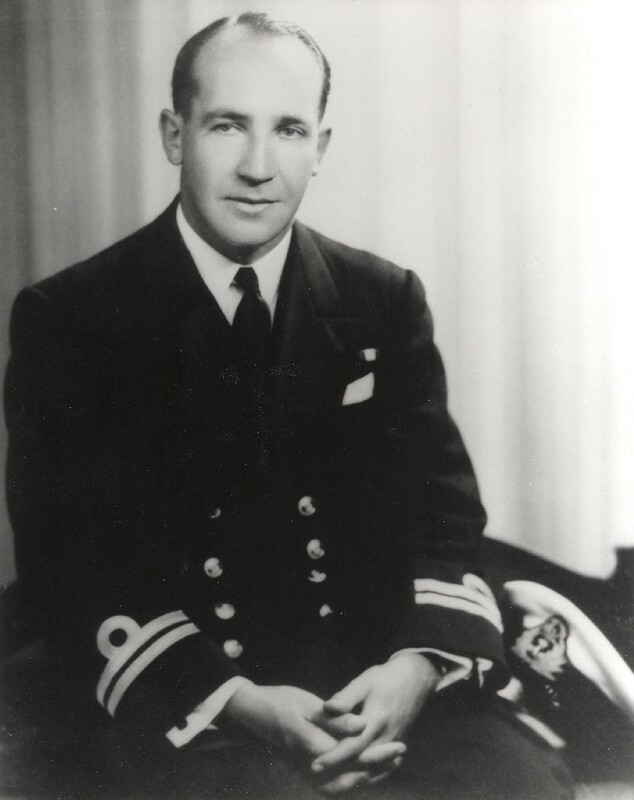 He returned to Australia in 1942 to liaise with the US Navy before being posted to Canberra again. He was aboard the ship when it sank in the battle of Savo Island, during the Guadalcanal landings. In 1943 he went to the cruiser HMAS Shropshire, then to the aircraft carrier HMS Tracker which was operating in the battle of the Atlantic and escorting Russian convoys. Promoted to Lieutenant Commander in 1944, Victor Smith was posted as the Air Planning Officer on the staff of the Flag Officer, British Assault Area for the Normandy invasion, which involved 702 warships and 52 flotillas of minesweepers. At war's end he was on the staff of the Vice Admiral British Pacific Fleet. He was promoted to Commander in 1947. A young Lieutenant Victor Smith, RAN wearing the ribbon of the Distinguished Service Cross awarded for outstanding zeal while serving with the Royal Navy during World War II. Sir Victor's war service resumed when he became Executive Officer on the aircraft carrier HMAS Sydney, then flying Firefly and Sea Fury, in the Korean War in 1951. Promoted to Captain in 1953, he was appointed director of Air Warfare Organisation and Training, and later Commanding Officer of the First Frigate Squadron. 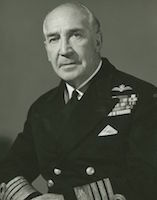 He commanded HMAS Albatross, the Naval Air Squadron at Nowra, New South Wales, from 1957 to 1959, and later attended London's Imperial Defence College in 1960. Returning to Australia to command the aircraft carrier HMAS Melbourne, he was promoted to acting Rear Admiral in 1962 and Rear Admiral in 1963, the same year he was awarded the CBE. As Flag Officer he held the appointments of Second Naval Member, Fourth Naval Member, Flag Officer Commanding the Australian Fleet and Deputy Chief of Naval Staff. Sir Victor was promoted Chief of Naval Staff with the rank of Vice Admiral in 1968 and was made a Commander of the Order of the Bath (CB) and then a Knight Commander of the Order of the British Empire (KBE) in 1969. His long career culminated in his elevation to Admiral in 1970, becoming the first RAN officer to be promoted to this rank. He was appointed chairman, Chiefs of Staff Committee, the forerunner to the position of Chief of Defence Force. 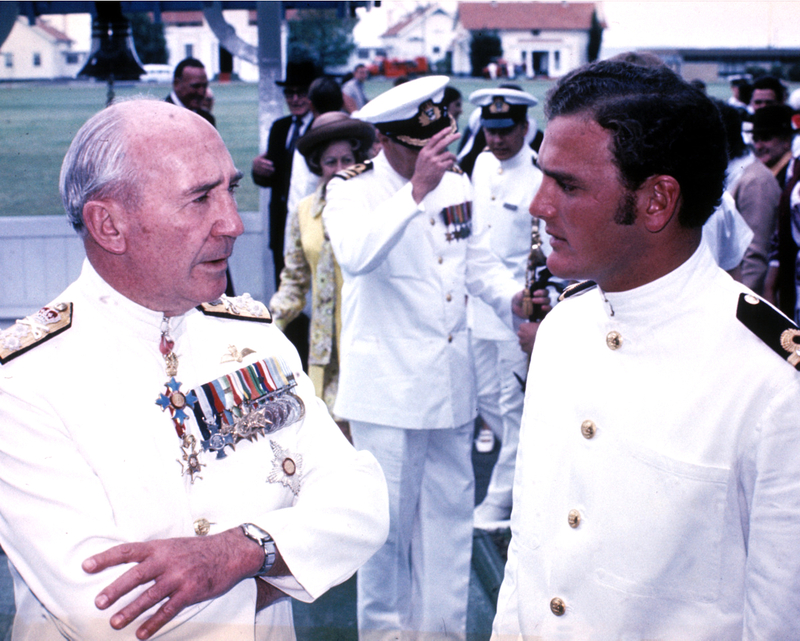 Admiral Sir Victor Smith, RAN in conversation with Sub Lieutenant JR Stapleton, RAN, HMAS Creswell, circa 1971. In 1975 Sir Victor was awarded the AC and he retired in November of that year, just short of 49 years' naval service. He was a great Australian and a credit to the nation. Admiral Sir Victor Alfred Trumper Smith, AC, KBE, CB, DSC, RAN (Ret.) passed away on 10 July 1998.